This intensive foundation course is designed to introduce delegates with little or no previous experience into the Locksmith world, which will ensure each delegate will learn how to pick, open and bypass many types of domestic and commercial locks that are popular in the outside world. Our students will understand the workings of the lock and therefore how to open them when no keys are available. We aim to provide you with the solid grounding you need to start and run your locksmith business correctly from day one. The course offers intensive training over a 2 day period with a maximum of 5 students per course. The course is 90% practical to ensure you know how to put the theory into practice. This course is designed for people who are fast learners or where they cannot spare the time to complete the 5 day introduction course. 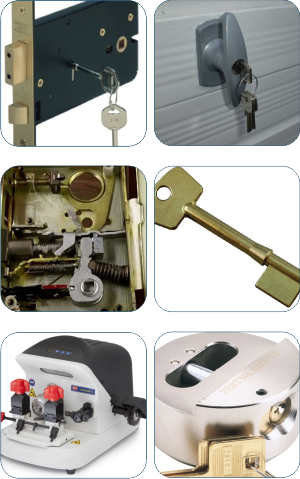 The course proceeds at a rapid pace to ensure we cover a comprehensive range of locks. Within the training course you will have the chance to see and use the very latest state of the art tools available to the modern general Locksmith. This course is ideal for general public, maintenance services not currently involved in the locksmith industry or people looking for a career change into a niche market with a high level of technical content and good rewards.